We are welcoming people from Germany, Hong Kong, France, and Australia this summer. This is an active, structured therapy program for people with social anxiety disorder only. Please read the entire page if you are interested in these groups. Monday, July 22nd - Saturday, August 10th, 2013. This group is already full. You can still submit the application as a back-up for this date if you wish. Next International Group: Summer 2014. You can apply for this program online here. Please read all the information on this page thoroughly. This is a three week, intensive, all day therapy group for people with social anxiety, where you actively work on the behavioral components of reducing social anxiety in different practical situations. 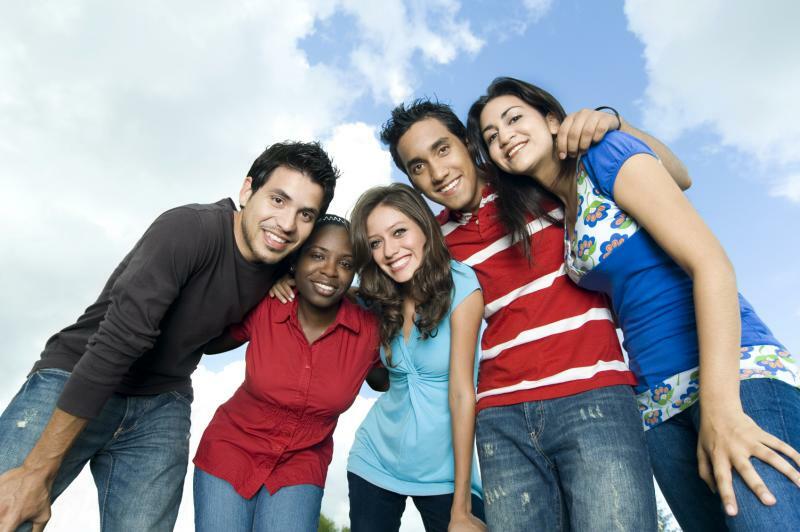 The group consists of people who are motivated and ready to overcome social anxiety. 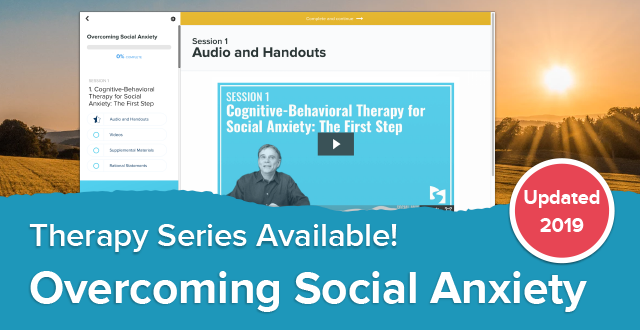 If you're submitting an application, you should already be actively working on the rational CBT audio therapy series. Knowing, understanding, and using the cognitive methods and strategies BEFORE you come to the program is essential. Who is helped most by these groups? People who come prepared ahead of time. Typically, these are very motivated people who have finished the cognitive therapy audio series and gone over it several times. It is not unusual to find people who have spent several years reinforcing the solutions to social anxiety and want to come for an intensive behavioral session. These groups will only work provided everyone has thoroughly gone over the cognitive material in the twenty (20) audio therapy series. (Nothing takes the place of repetition in learning new methods, strategies, and cognitive beliefs). Social anxiety is a "brain" problem, so we must learn new ways of thinking, believing, acting, and responding. Repetition and reinforcement of the "solutions" to social anxiety is essential to overcoming social anxiety. One of our therapy audio series users has explained this vital part of the therapy. The cognitive therapy is reiterated while we are doing the behavioral therapy during the time you are in Phoenix. Thus, it is vitally important you have taken the appropriate time and learned, read, and practiced the cognitive therapy BEFORE you come to the International CBT group. If you haven't done this, the three weeks will be a waste of time and money on your part. So, please, thoroughly practice, use, read over, and reiterate the cognitive therapy to yourself BEFORE coming here to a CBT intensive therapy group. Schedules are tentative until we have at least seven group members who have applied and been accepted. We only accept people who have social anxiety disorder (social phobia) to these comprehensive groups. Please read these pages thoroughly and e-mail at the address below if you are interested. Participation in this three week CCBT group is predicated on the fact that the CBT therapy series "Overcoming Social Anxiety" is being used. Please remember this is a six-day a week program for three consecutive weeks. It is seven hours a day at the SAI house, and then an evening spent -- socially or behaviorally -- with the other group members. You will be very active, both at the SAI house and at night time with your group members. Repeat: People attending these three-week intensive programs would need to make sure they have begun to put the cognitive methods, strategies, and concepts into place in their own life before coming. It would be a waste of time to attend a three-week session without having the cognitive concepts fairly mastered. However, notice the word "begun". This does not mean you are an expert at all the strategies -- it means you are familiar with them and have started to use most of them in easy situations with other people and/or groups. The key word here is "begun" or "started". Besides the application process, there is an entire pre-therapy e-mailing program already in place, to inform you better and in more detail of what we will be doing... plus giving you many more chances to ask questions AHEAD of time. This saves us all time in the long run, and makes our session time more productive. Please read all the details concerning the program below. Then, after consideration, if you are interested, please e-mail the CCBT international program below. Where do our CCBT visitors come from? 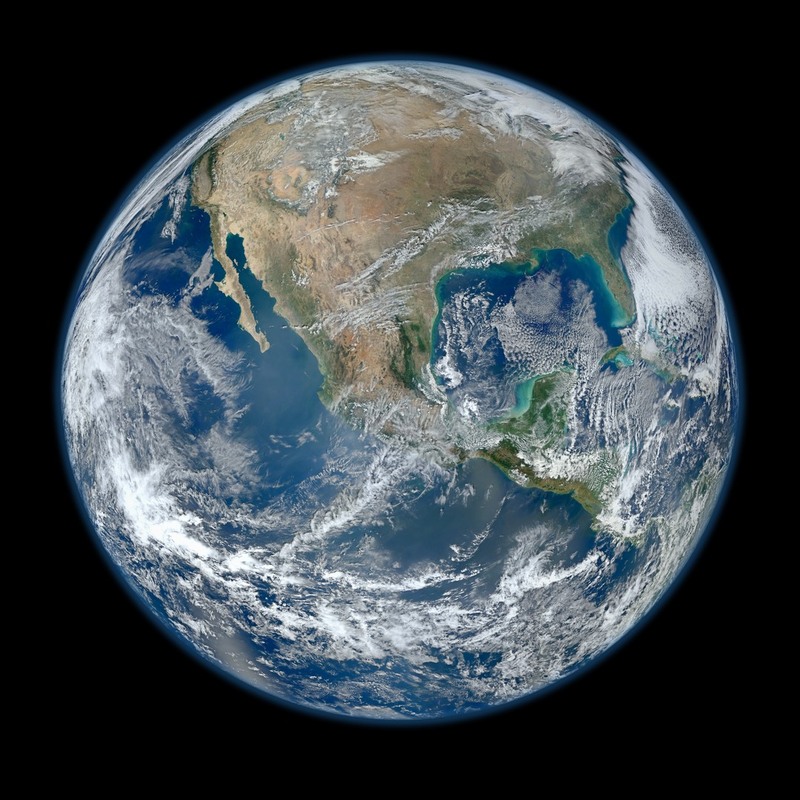 So far, from Germany, Syria, England, Poland, Turkey, Ireland, Nepal, Spain, Antigua, New Zealand, Australia, Canada, Luxembourg, India, Iran, Korea, UK, Croatia, United Arab Emirates; US states: North Carolina, Florida, New York, Connecticut, Arkansas, Nevada, Virginia, South Carolina, Alabama, Alaska, Illinois, Arizona, Colorado, California, Georgia, Hawaii, Tennessee, Kentucky, Utah, Kansas, Oregon, Ohio, Oklahoma, Pennsylvania, Texas, Wisconsin, Iowa, Michigan, Minnesota, Massachusetts, New Mexico, Washington State, DC, Nebraska, Montana, Idaho, Maryland, and New Jersey. Our website articles explain what CBT is, why it works for social anxiety, and what happens in individual and group therapy. The most current article on Comprehensive CBT and how it works to overcome social anxiety disorder can be found here. This is a long article, but please read it. Split it up over several days if necessary. Our main goal is to overcome social anxiety disorder (social phobia). See the associated brochures (or web pages) that address these issues. In therapy, we are working toward a rational and permanent change in the brain's neural circuitry (i.e., neural pathways), to include feelings, thoughts, perceptions, emotions, and behaviors. As is mentioned in every article, the brain cannot be changed in just three or four weeks. The brain only processes new thoughts, beliefs, and perspectives with repetition of rational information over a period of time. The key words here are repetition and consistency. The articles, plus the therapy, plus the program, will emphasize these necessary points. By having the cognitive therapy available and used beforehand, groups work best with at least seven (7) and no more than eight (8) committed people. In every group, the possibility exists we will have an intern from a university here. Several of our social anxiety group attendees have gone back to graduate school and have chosen to come here and intern for their master's or doctoral degrees. Our great hope is that they will choose to work in the social anxiety disorder field. In addition, SAI needs licensed therapists, too. 3 weeks, including Monday-Saturday, and weekend/weeknight activities. Please NOTE: Saturdays are included and are very important to the therapy schedule. Real-life "experiments" with other group members will be planned and carried out with help from social anxiety "mentors". On Saturdays, we join the local CBT group for some "practical" therapy with strangers, who, of course, are simply other people with social anxiety disorder. We will provide you with a hotel that we have arranged special prices for you. You will need to make arrangements directly with the hotel for your own lodging, though. SAI is currently located in the northern part of Phoenix. We are always in transition as we are continually growing. Currently, we have a beautiful residence on a mountainside with a very large group room that has panoramic views of the mountains and the city. For the 2012 group, we changed our hotel arrangements. The hotel is new, but, unfortunately, is eight miles away from SAI. It has a queen suite, living room, a full sized kitchen (i.e., refrigerator, microwave, stove), cable TV, phones, swimming pool, free continental breakfast, etc. for about $350 per week during the stay. Prices do vary somewhat, depending on the month of the year the group is held. (Summer months are cheaper than winter months). 2013 prices may be different. We will look for the best rates in an acceptable hotel. Phoenix, the fifth largest city in the US, is a sprawling, west-coast-type city of almost four million people. There has been little emphasis on public transportation here as the car continues to be "king". Typically, some people coming to the group choose to drive, but the majority come by plane. Depending on the car situation, group members sometimes pool together to rent a car during the three week period, and share in gasoline costs. The international airport in Phoenix is called Sky Harbor and it is one of the ten busiest airports in the U.S. Upon arrival, there is an inexpensive shuttle that will take you from the airport to your hotel --about 20 miles. We do not have a way to provide meals to you, so you are on your own for this. Many eating establishments, from fast food to fine restaurants are close by your hotel. Two grocery stores, shopping, restaurants, cleaners, etc. are close. On the first day, we will pick you up and return you to the hotel from our the SAI "house". Group members usually work out transportation issues during the pre-therapy emailing program so that transportation is settled before the group begins. We are finding that most attendees are not on medication. If you do need (appropriate) meds, we do not have a psychiatrist on staff, and finding one locally that understands social anxiety is very difficult. Therefore, if necessary, your medication arrangements need to be finished before you leave home and come to SAI. Once you are accepted into the CCBT program, Dr. Richards will personally discuss this with you -- long before you arrive. 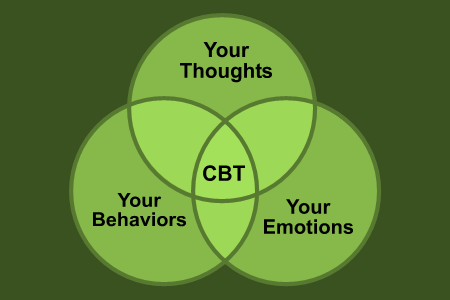 Cognitive-behavioral group therapy (CBT) with Dr. Richards six (6) all-day sessions per week. Dr. Richards runs the entire group and is always present. Practicing the cognitive material with other group members every day. Watching the videotape of your behavioral presentations every day. Participating in the behavioral therapy group where you slowly and gently work your way up to reducing your anxiety in practical situations. Dr. Richards will be in charge of the behavioral therapy group. Saturday behavioral therapy group with the local (in town) SA members (3 hours each Saturday). Saturday - Sunday activities and "experiments" as a group and on your own (with other group members). Because of the availability of the audio therapy series, the groups now spend more time on behavioral activities. Some afternoons we will plan "experiments" at a shopping center or other public place. You will help plan these out as they need to fit your own anxiety hierarchy. They will ALWAYS be rationally planned out first and you will decide what you think you can do. As with everything else, you are not forced or coerced into doing anything. There will be no surprises with any of this. When accepted into the program, our pre-therapy e-mailing program, which consists of only our own incoming group members, provides you with detailed information concerning all the different types of CBT we will be doing. At this point, you can also ask some detailed questions. You will also "meet" other members of the group, via e-mail, BEFORE you come to Phoenix. 12:00 - 3:00 : We join the local social anxiety CCBT group for behavioral therapy. Active, structured behavioral therapy group where we work directly on our anxiety hierarchies. That is, we practice the things that make us anxious (gradually). We work up our anxiety list slowly and in a hierarchical manner, and repeat things often. In this way, anxiety can be reduced, and you will feel like moving up to the next step. We do not pressure or force you to do any of this. Everything you do is voluntary. An informal re-cap of the day (our "rationalizing", "debriefing" and "cognitive-izing" time) and behavioral "experiment" planning, when you are ready. The outside-SAI experiments will be thoroughly discussed and will proceed in a step-by-step fashion. We will also make plans for the next day. You will not be pushed or pressured into doing things that are too difficult for you at the time. As you improve, YOU make the decision to move slowly up your hierarchy -- gently and slowly with no surprises. We will always "rationalize" or "cognitive-ize" your behavioral steps, to make sure you are on track mentally with what you are doing physically (behaviorally). We deliberately will leave some afternoon/evening time for these practical experiments done in the real world (you will always have help for these experiments). The other group members are a real asset to therapy in these situations as well. Behavioral "experiments" will be planned and structured (we will need your cooperation) to do some weekdays and on Saturday. There will be some "mentors" who will assist you with the experiments. These "experiments" are done with some one else from the group and will be fully explained to you. They are very powerful and positively reinforcing, and you will find that they are nowhere near as difficult as you think. And, as you know, we will start small -- there will be no jumping off gangplanks. It is important that you be as informed as possible before you make the decision to come to SAI. WE DO NOT WANT YOU TO COME UNLESS YOU ARE READY, WILLING, AND MOTIVATED TO GET BETTER. We intend to tell you the good, the bad, and everything else in between. Also, please read our other literature (our other web pages on social anxiety) for a more complete picture. 1. We are only treating social anxiety (social anxiety disorder, DSM-IV: 300.23) in this intensive, comprehensive CBT treatment program. We cannot admit people with other clinical anxiety disorders and/or other mental health care problems. Most people with social anxiety have "bleed over" problems with other types of anxiety and depression. This is typical and is not what we are referring to. 2. We cannot admit people to the group with severe social anxiety (i.e., strong avoidance) where you don't work and rarely leave the house. Specialized treatment, the use of an appropriate medication, and more time is usually necessary for improvement in these cases. The good news is that even avoidant social anxiety can be treated successfully, given time, commitment, and patience. However, people must be willing to take the typical steps toward recovery at home BEFORE they come to SAI. Other people have moved to Phoenix to take part in the local groups. This is always an option. 3. We use cognitive-behavioral therapy, the only therapy shown to be effective for overcoming social anxiety. Appropriate CBT is not hard or difficult, by itself. But the program will emphasize the persistence that is necessary to overcome this disorder. A person must be willing and motivated to change for CBT to work. You might hear this referred to as "mindfulness". Our CBT has always been inclusive of "mindfulness", as the emotional brain must be reached and changed. 4. Success rates for motivated people are very high. We have found the concentrated program to be very helpful to anyone who is committed to change. This is what has typically happened during the past fourteen years in comprehensive, intensive CBT groups. However, there is not an adequate research knowledge base available at this time concerning intensive CBT treatment, due to the fact that research has generally addressed short-term, time limited, weekly-only treatment. It would be accurate to say, at the minimum, that you will feel and think better, and you will have the tools to continue improving when you return home. It will be important to continue your CBT exercises after you get home. If this is done faithfully, we have found people improve significantly and continue their recovery after returning home. 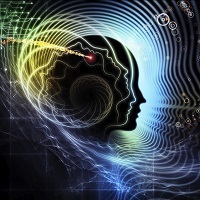 Because CBT produces permanent changes in the brain, the methods, beliefs, techniques, and strategies you learn will not be forgotten. 5. You will not be "perfect" or "anxiety-free" at the end of just three weeks. However, if you continue to apply what you have learned when you get back home, you will continue to improve. As you might expect, this material needs to be reviewed, reinforced, and acted upon over and over again. 6. We are keeping our costs significantly lower than other clinics or day treatment programs because we realize that people with social anxiety tend to be making lower than average salaries because of the restrictions social anxiety places on life. If you make more than an average salary, and would like to donate to the Social Anxiety Institute, it would certainly be appreciated. 7. Please understand that you will have my full attention and help because my local client load has been greatly reduced (!) to be able to offer this group and the local weeknight and all-day Saturday CBT groups for social anxiety. 8. We are not funded by any kind of government agency, organization or institution. There is no government, university, or foundation money that flows to us. Instead, all of our activities, including the four internet sites, the SAI mailing list, our printed matter from the SAI Publishing House, and publishing information, are a cost to us. SAI is not a large institution, I am the only psychologist here, and we exist to treat and help people with social anxiety disorder only. 1. 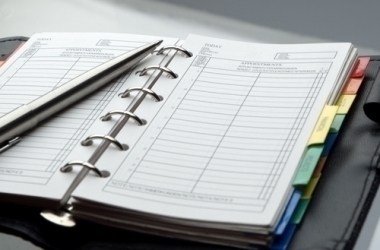 An application for admission to the program must be fully completed, signed, and returned. 2. Filling out several other forms and questionnaires, including the LSAS questionnaire, before you come for treatment. 3. Application/bookkeeping fee of $475.00. If we cannot accept you for any reason, or if the group is cancelled, your check will be returned to you in full. The application fee should accompany the application. 5. One to two months of "pre-therapy" e-mailing (this is conducted by Dr. Richards over the internet). For your part, you are encouraged to ask as many questions as you like so that you will feel more knowledgeable and comfortable about the program before you arrive. 6. We will notify you of the status of your request as quickly as possible. Program costs for the three-week CCBT session can be found here. There will be no extra charges for the cognitive-behavioral material or the supplemental material you take home with you. Dr. Richards needs you to stay in e-mail contact with him after the program is over and you have returned home. During this transition time it is important to keep moving on the cognitive handouts and repeating the behavioral "experiments" at home. There is a $475.00 application/bookkeeping fee (see above). 1. You can email about the program to international group AT socialanxietyinstitute. org (put this all together without spaces). 2. You can also call the SAI office and leave a short message. Currently, the office hours are 9:00am - 2:30pm Pacific Time (GMT - 7), but you can leave a message anytime you want. The SAI office number is 602.230.7316. 3. Once an application and bookkeeping fee is received, Dr. Richards will go over it, and e-mail you back. PLEASE make sure your e-mail address is clear enough and big enough to be seen. 4. Don't be afraid. We would love to have you join us as we work together to gently overcome social anxiety!